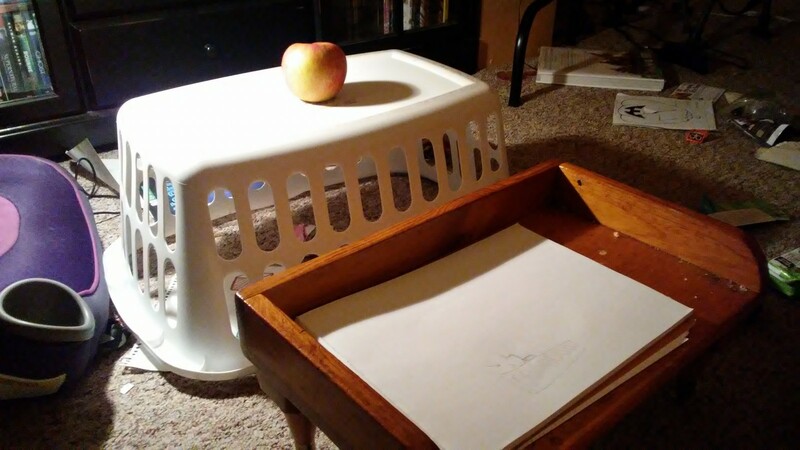 Namine’s first foray into drawing shaded objects was focused on geometric shapes. Next, I wanted her to try her hand at drawing something from sight. I set up an apple and a lamp, and let her get to work. The first time, her drawing was rather small. I encouraged her to use up as much of the paper as she was comfortable with. That’s what large drawing pads are there for, after all.